Ideal for tough treks or sweat-inducing outdoor activities, the Ultra Cool Towel S absorbs perspiration very effectively and has a cooling effect without feeling wet on the skin. Thanks to its 4-in-1 functionality the towel can be used as a headband, wristband, neck gaiter and respiratory protection. 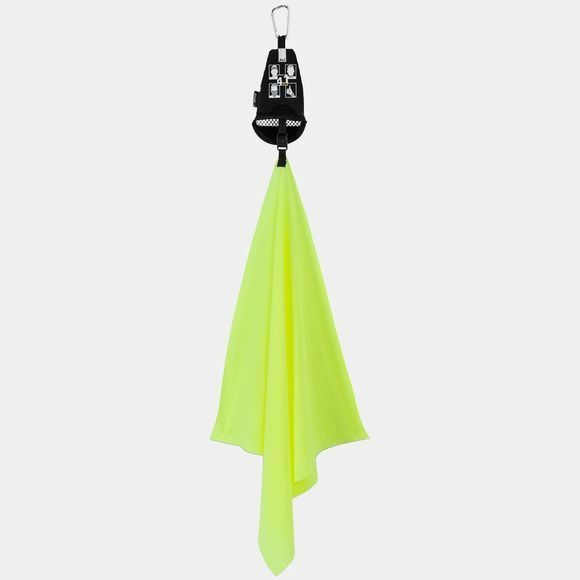 The towel comes in a mesh pouch with a carabiner, so you can attach it to the shoulder strap of your pack for easy access when you're out running. The soft, stretchy fabric absorbs four times its own weight in moisture and dries very quickly. 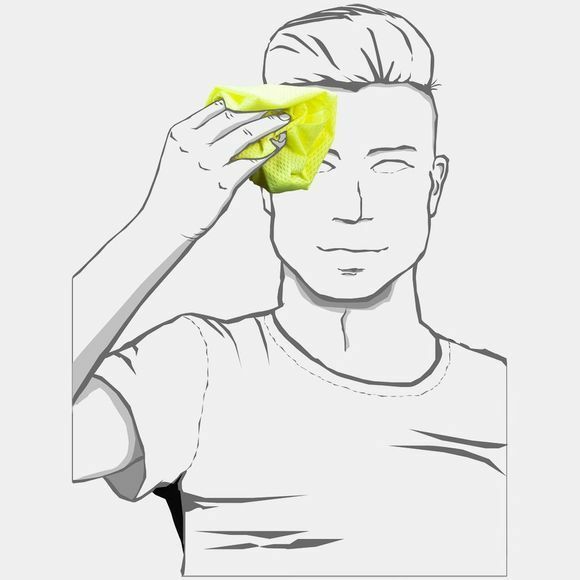 When damp, the towel has a pleasant cooling effect on the skin.